You must make bookings at least 5 minutes in advance of the time at Pachamama. DJ available upon request on Friday and Saturday from 9pm until late - the party is always at Pachamama! 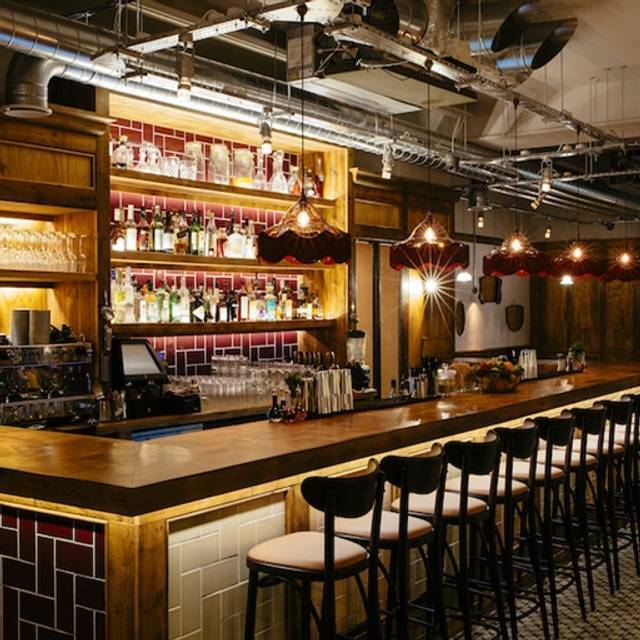 Pachamama is a bar and restaurant in Marylebone that serves Peruvian-inspired dishes, made with the best of British produce. 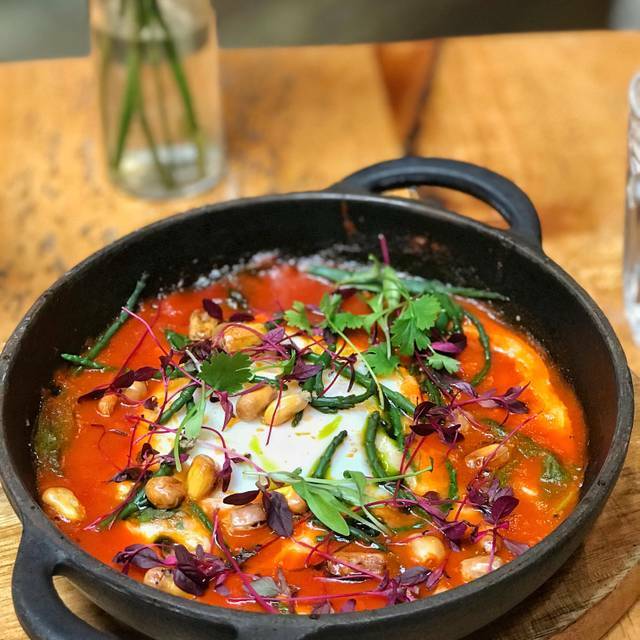 Monday to Friday lunch is where we serve our selection of ceviches, along with the best Peruvian burger in London, chargrilled chicken and much more. 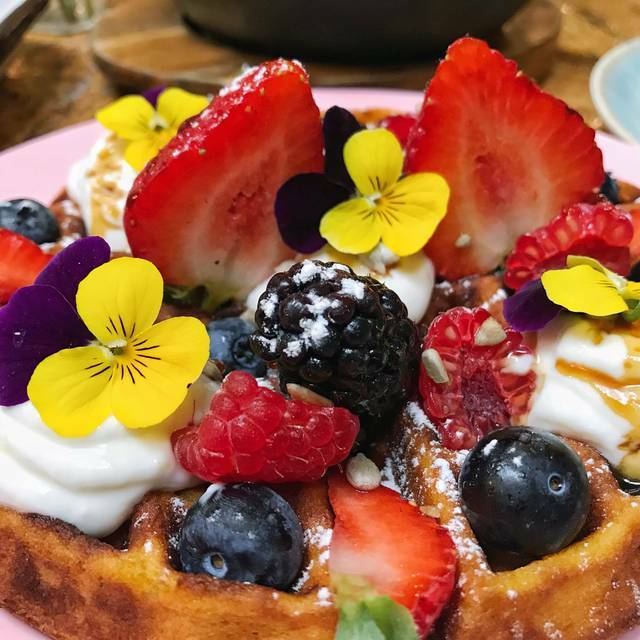 The weekend brunch at Pachamama has been widely-regarded as serving the best waffles in London with toppings like fried chicken or plantain and peanut butter. Dinner at Pachamama is a celebratory affair with a menu of small and large dishes to share. From snacks to ceviches, land, sea and soil, the menu has something for everyone with a focus on bold flavours, citrus and smoke. The bar at Pachamama serves expertly-made cocktails using only Pisco and is a great place for an after dinner drink or to sit and enjoy the evening over a bottle of wine. We have several options available to our guests who wish to dine in a private space; from semi-private dining areas that cater for parties of up to fifty-two guests, to private dining caves better suited for intimate occasions with friends, family or business associates. Great experience- would definitely recommend the set menu offered! this was my first experience with the Peruvian kitchen and I absolutely loved it ! the food was great, staff was very friendly and helpful, the atmosphere was good, positive vibes, comfort food, we will be back ! Fabulous food, ambiance and service. Favorites were the ceviches and Pisco sours! the staff promoted the tasting menu which we felt was much too expensive considering that all 4 of us (2 adults, two children) were charged 45 pounds each + beverages. The food was very good but portions were too small considering that we paid for 4. It’s a real pity as we were really looking forward to the dining experience at Pachamama. We ended up feeling rushed through the courses and weren’t able to enjoy the dinner as much. Overpriced for what it is. 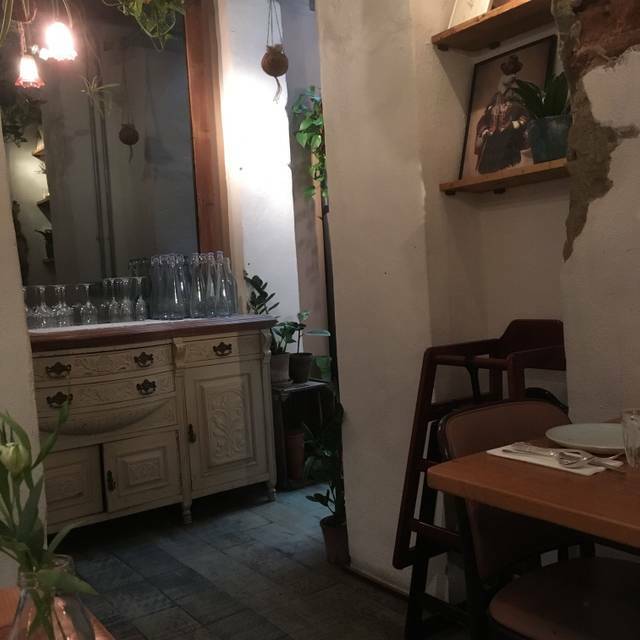 Generally a nice place to eat with good vibes, warm decor, attentive staff and an interesting drinks and Peruvian tapas menu. The food was great but not incredible. The prices were over the top - £60 a head for a 2 course tapas meal with 1 cocktail. If you're looking for an after dinner location, Pachamama is fine. We went for Saturday brunch. All in all good was good, however service completely ignored us. We had to actively wave to be noticed. It didn’t seem like we had a designated server so we were just asking random members of staff to order or get the check. Once we got their attention they were nice, however very frustrating that we had to actively look for someone. And then there was the music... a life dj and a playlist that would rather suit a beach party, however did not find appropriate for an underground restaurant with no daylight and bad acoustic. It was so loud that we all found we had lost our voices after we left as we were trying to have a conversation. All in all I will not be back for brunch, as this is definitely not my cup of tea. Love the food and drink at Pacha. 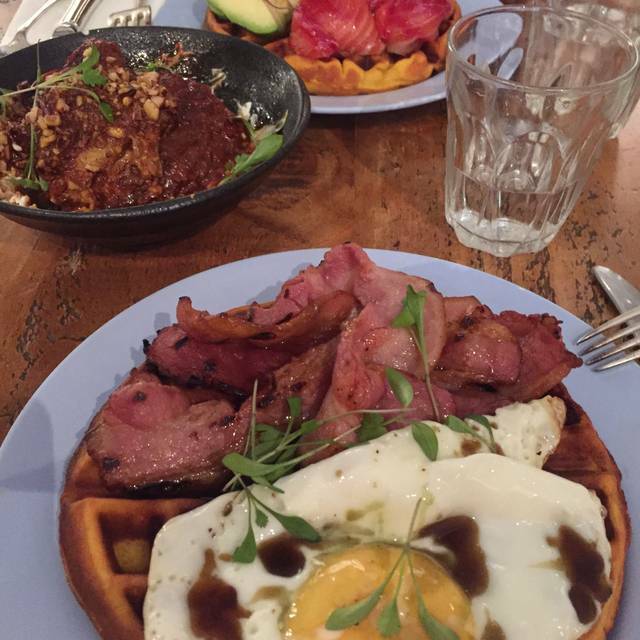 Came here about 6-8 months ago for brunch and it was perfect - chill vibes, plenty of food and drink options. We took the liberty of bottomless prosecco and it was magical. Unfortunately, this time didn't meet the same standards. The music was FAR too loud (I'm in my mid-twenties... not 'too old' as the pass-ag sign on the wall, said) and total crap... not sure where they got that passed-out looking DJ from. Felt like they were trying to make it too cool, and it showed. Food was still fantastic and mocktails were a perfect choice. My friend had several side dishes and she said they were delish too. It feels a shame as I wouldn't return whilst they still have that god awful DJ. Used to be one of my fav brunch places. I have been to Pachamama several times since the restaurant opened in my neighbourhood. 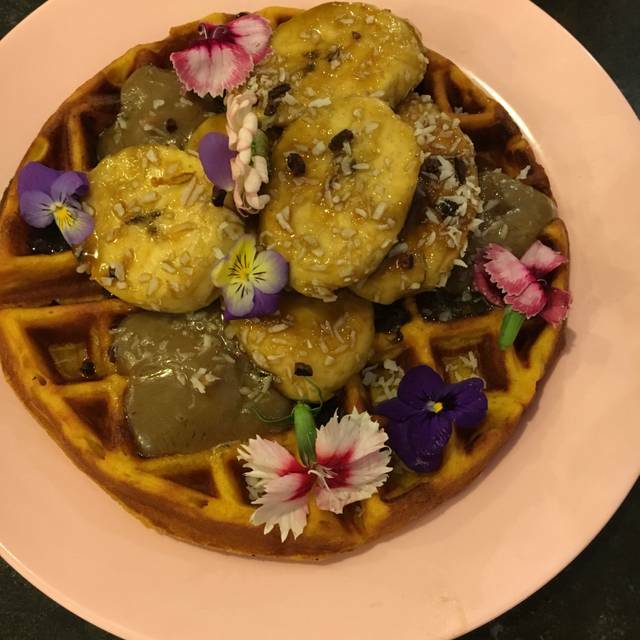 I have dined there with another diner, as part of a group outing which I organised and several times when I have had a craving for their weekend brunch waffles which sadly are not available elsewhere, as a solo diner. - The waitstaff need to be prompted to stop at your table and take your order. - The waitstaff do not offer tap water even in instances where the solo diner has not ordered any of Pachamama's (expensive) drinks. "Please " and "thank you " are not part of the waitstaff's vocabulary in any of their interactions with the solo diner. Also in my latest and probably last visit, I told the waitstaff handling my table that sweet waffles I had ordered on previous occasions were uniformly not hot. I asked the waitstaff to ensure my waffle was hot but it arrived just warm. Finally the noise levels at Pachamama are uniformly too loud, downright unpleasant. The music is too loud and so diners have to shout at each other to be heard, even during my visit when the restaurant was just half full. I mentioned the noise levels to the waitstaff and she did nothing to help. In the interest of helping Pachamama improve through honest feedback, I submitted a review as most diners do through a popular channel. Rather than apologise and take the feedback constructively, the owner launched a vicious, ad hominem attack writing: "If there are any other observations that you would like to whine on about then please simply dig a nice, deep hole in your back garden and shout them into that, as I simply cannot bear listening to any more of your ridiculous and highly imaginative observational piffle." The extremely poor service should perhaps not be surprising given the extremely poor tone from the top. What a great find. I shall definitely be returning again soon. The food was beautifully cooked and very well presented. The food and service was excellent, however the dinner DJ was overkill and being played excruciatingly loud. I'll stick to DJ-free brunch. Highly recommended the tasting menu and earplugs. Very friendly staff and they were al well dressed and presented. 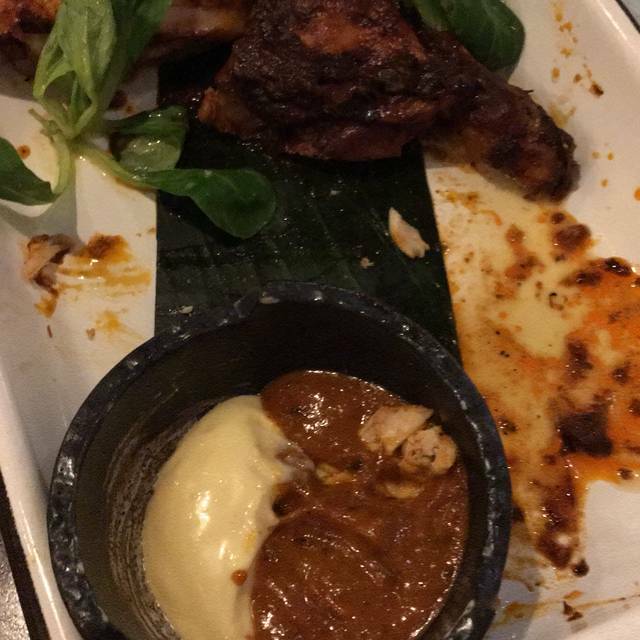 The food was different but great! I would definitely be coming back ! Great food and friendly staff, but music too loud for brunch. Fantastic , it’s a lively loud place . Great food and cocktails. Set menu across 4 is very poor value, small portions but big cost. Shame. Portions are fairly small. Food comes out when ready which results in the plates described as sides, like aubergine and grilled broccoli coming to the table 15 minutes before any of the mains. Nice vibe, good cocktails & staff all lovely but foods not impressive enough to justify the price per plate. What a great buzzy place great staff very attentive and accommodating as we arrived early they put us in the private room until our table was ready! Only caviat is the staff. Managers are nice and welcoming but two of the waiters were messie and unfriendly. Lekker eten, moeizame akoestiek waardoor een date met twee wel wat minder gezellig was. Great experience as always! Food was amazing, service was great and the ambience too. Fantastic service and staff! The food was delish - I highly recommend the aubergine dish! Food was good but service was incredibly slow. The food is delicious and we also very much enjoyed the decoration, the atmosphere. The menu items are very original and are all equally appealing. 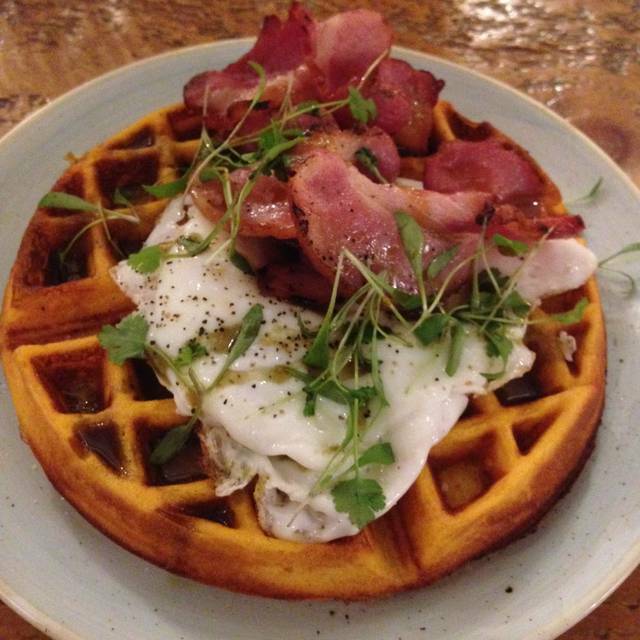 Give a try to the aubergine with smoked yogurt and to the waffles which are heavenly! Restaurant ambience and the food were very good indeed, the service was not so good. Whilst there were plenty of staff they didn’t seem to be very informed of what was available, especially when it came to the drinks menu. We were disappointed with the cocktails, they were ok - say if they were £9 cocktails but for £14 one would expect the wow factor and it just wasn’t there on any of the cocktails we tried. But I’d still say the food was great, perhaps go for wine with your dinner and then it’ll be top notch! Warm welcome and wonderful service. Lovely decor, almost like visiting someone's home and the attitude of the staff made us feel immediately comfortable. They clearly love the place and and are eager to share their enthusiasm and pride in the food and the restaurant. On the morning that we went for brunch, there were many young families and quite a few prams, which added to the 'homely" feel, although we are sure it has quite a different ambience in the evening - which we plan to experience on another occasion. The staff are professional, friendly and relaxed and all have deep knowledge of the cuisine and love to explain what the dishes are. It was our first time at Pachamama and we had lots of questions, which were answered with great patience. The food comes out when it is ready, so arrives in no particular order, which was explained to us and was no problem at all. The waiters genuinely cared whether we were enjoying it. We were. 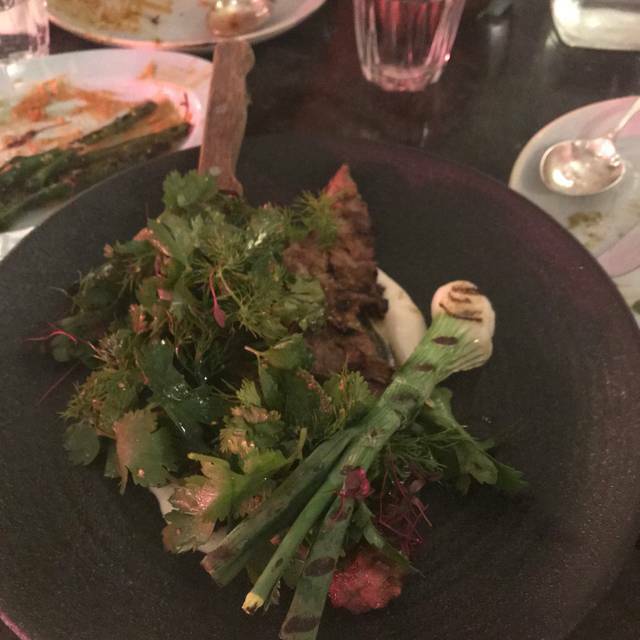 Food was delicious - original, tasty, with exquisite use of seasonings and balance of flavours in each dish, all beautifully cooked and served. Only problem was that we were so keen to try different dishes that weaver-ordered and left ourselves no room for what sounded like amazing desserts. Next time!! You enter Pachamama through a small door, then down stairs to an underground room with great decor and lots of plants. The waffles were delicious and filling. I forgot to check in advance if they did anything for breakfast which was dairy free... and they didn't. The service was ok, but the music was definitely not Peruvian and was so loud that at 11am it felt more like we were in a busy bar and we could barely hear each other. Amazing dishes, unique, inspiring and carefully composed but still cannot stand the loud and tasteless music. The music getting louder and louder, felt like eating in the cheap and tacky night club. The group behind us was very loud as well, I presume because of the music - we actually could not hear each other in the same table, we did not have any conversations throughout our dinner. It is such a shame as all members of staff are very nice and friendly, food is just right and perfect. I would like to go back for those fantastic dishes but would not when I think about the dreadful ambience and atmosphere. Nice food (the brown crab churros are so good!) and deserts, although the portions could be bigger for the price. Cosy environment and very attentive staff. Slight downside was the loud, random dance music playing that made it really hard to have a conversation. First of all, they did not find our reservation but was able to seat us anyway - good. Unfortunately, we had not done our homework because we went on a Saturday night, having been only for lunch previously, and it was more a disco than a restaurant with an in-house DJ providing very loud music. The service was not the most attentive but the food was good, not exceptional but good. I would recommend it for a lunch - not dinner on Saturdays evenings unless you fit the age group around early twenties to early thirties... They have a sign on the wall "If the music is too loud you are too old"! Yes, I admit, I am too old to have my dinner in a disco. Love this place but cannot understand why the music has to be SO loud!!!!!!! It’s impossible to have a conversation, you can’t even hear yourself think! Have music on but please turn it down. People aren’t there to go clubbing - we’re there to socialise whilst enjoying good food. Creative and tasty Peruvian food in a lively atmosphere. Our server Fatima did a great job of explaining the menu and any dishes/ingredients we were unfamiliar with, and we ended up ordering the tasting menu. There was nothing on it that I would not order again, and it was well balanced and right-sized. Only minor negative was that the restaurant is very noisy - although it didn't spoil our evening at all, others might want to bear it in mind. The Peruvian dishes were not as strong as some of the competitors, esp with the ceviches. The Barley risotto that came with the hot smoked salmon was v good though. Portions on the small side.